Giant lake and lodge style! 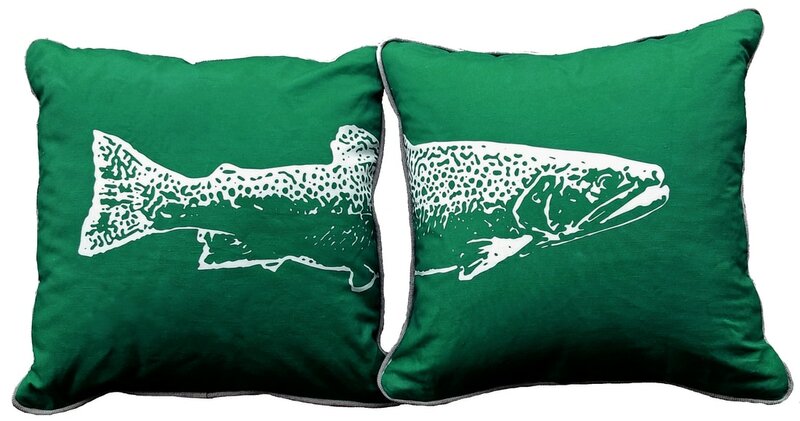 Our classic Brook Trout print makes a playful addition to the porch and patio in the Head & Tail oversized print. Printed with water-based, eco-friendly inks on crisp linen and cotton fabric, pillows features hidden zippers and natural linen on reverse sides. Stitched by our local New England sewing partners, every detail of every pillow is of the highest quality.